Have you tried Celebrate, Gluten Free at the farmers across Edmonton in the past? Ever want to have their goodies during in the week, inside, with comfortable places to eat? 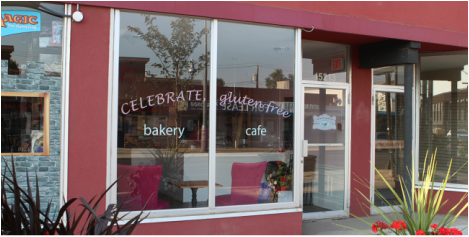 The all gluten free cafe is located in the west end at 15213 Stony Plain Rd. and offers gluten free goodies like muffins, cinnamon buns and cookies with some comfort. They still go to the St. Albert farmers market, along with their brick and mortar store and like any cafe, menu will always be changing. Follow Celebrate, Gluten-Free on Facebook and Twitter to keep up to date on what is being freshly baked.